Sarah Nader- snader@shawmedia.com Prairie Ridge's Andrew Eschweiler shoots a basket during the third quarter of Tuesday's game at Prairie Ridge High School January 19, 2016. 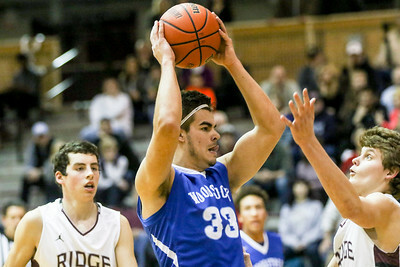 Prairie Ridge defeated Woodstock, 53-40. Sarah Nader- snader@shawmedia.com Woodstock's Blake Brainard (left) guards Prairie Ridge's Logan Card while he shoots a basket during the third quarter of Tuesday's game at Prairie Ridge High School January 19, 2016. 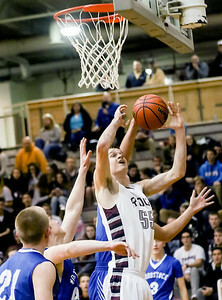 Prairie Ridge defeated Woodstock, 53-40. Sarah Nader- snader@shawmedia.com Woodstock's Josh Turner shoots a basket during the first quarter of Tuesday's game against Prairie Ridge January 19, 2016. 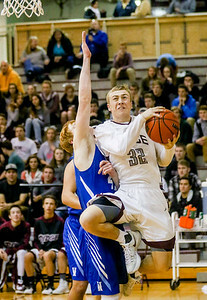 Prairie Ridge defeated Woodstock, 53-40. Sarah Nader- snader@shawmedia.com Woodstock's Vannis Smith (left) is guarded by Prairie Ridge's Payton Otto while he dribbles towards the basket during the second quarter of Tuesday's game at Prairie Ridge High School January 19, 2016. Prairie Ridge defeated Woodstock, 53-40. Sarah Nader- snader@shawmedia.com Woodstock's Zachary Cullum passes over Prairie Ridge's Kyle Loeding during the second quarter of Tuesday's game at Prairie Ridge High School January 19, 2016. Prairie Ridge defeated Woodstock, 53-40. 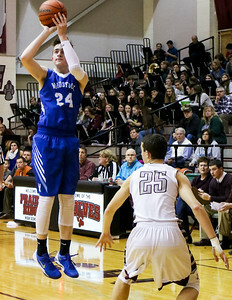 Woodstock's Josh Turner shoots a basket during the first quarter of Tuesday's game against Prairie Ridge January 19, 2016. 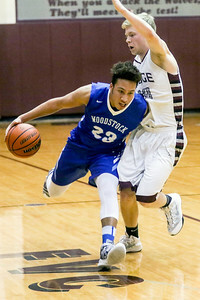 Prairie Ridge defeated Woodstock, 53-40.